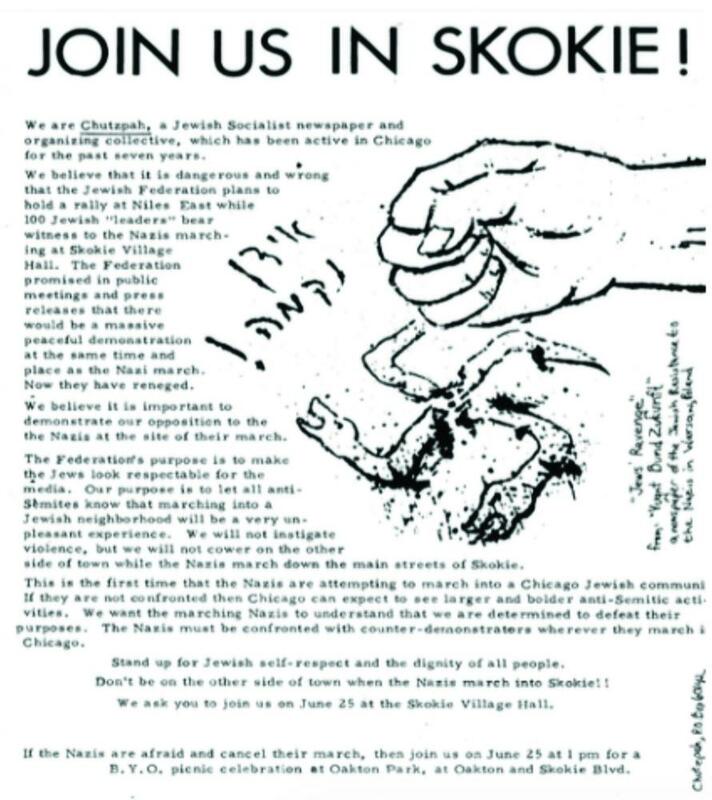 Flyer made by the Chutzpah Collective criticizing the Jewish Federation's separate counter-demonstration to the Nazi march in Skokie. Members of the Chutzpah Jewish Liberation Collective, 1977. 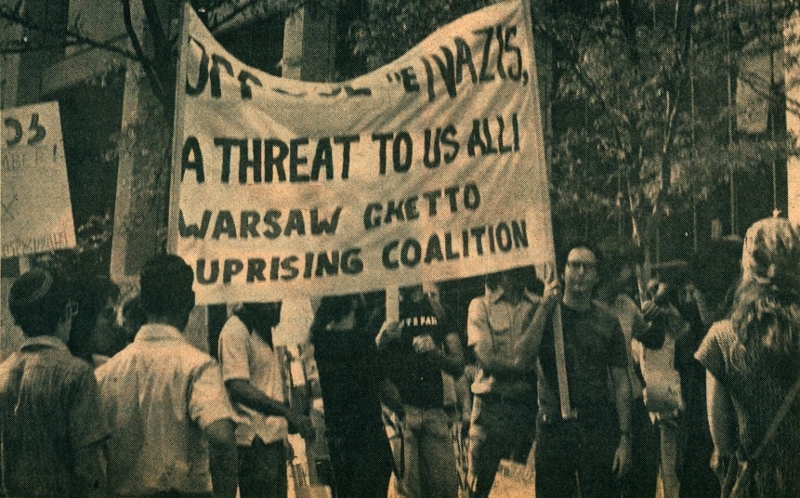 The Warsaw Ghetto Uprising Coalition at a counter-demonstration to the Nazi march in Marquette Park, Chicago.